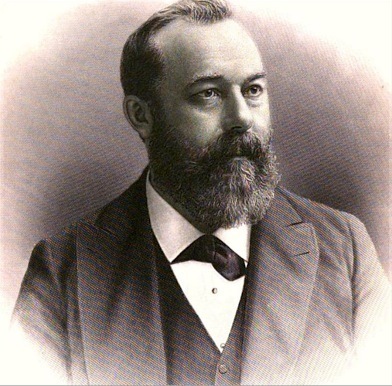 Alfred Dolge (1848-1922) was a major figure in the American piano industry, he remade the small town of Brockett’s Bridge, on the edge of the Adirondacks, into what became Dolgeville, to make soundboards, hammers, and other components in 1875. 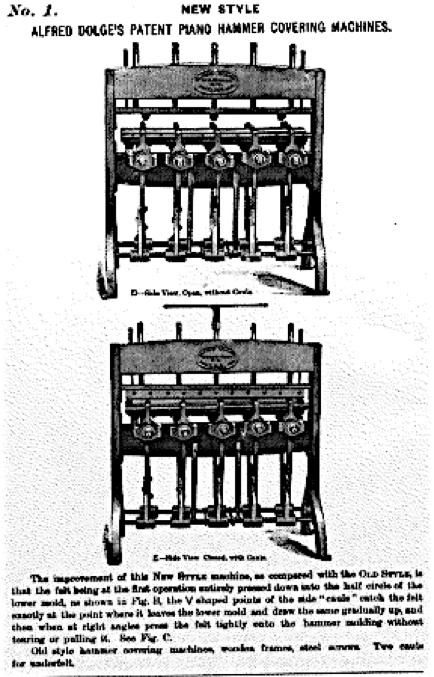 Dolge invented a new hammer-making press, which is still used today by some hammer makers. He also developed and produced a cylindrical 5′ soundboard planer, which could process 300 soundboards a day in comparison to a single craftsman who would be able to hand plane perhaps ten soundboards, at most, in a day. His factories permitted a number of piano manufacturers to outsource more components in their pianos, lowering costs, and making pianos more affordable for the middle class. Dolge wrote Pianos and Their Makers in 1911, a veritable who’s who of the American Piano industry during his working lifetime. But perhaps Dolge’s most important contribution was his practice of providing his 2,000 workers with pensions, profit sharing, and life insurance. He wrote about this in his book The Practical Applications of Economic Theories in the Factories of Alfred Dolge (1896). His ideas gained attention in Germany and France. Alfred Dolge’s signature, and quotation from John Dryden’s (1631-1700) poem, “Happy the Man,” inscribed in a first edition, volume II, of Pianos and Their Makers. Dolge believed in good wages for workers, partly out of a sense of fairness, but also because he saw them as consumers foremost, which was seen by some as a betrayal of his class. 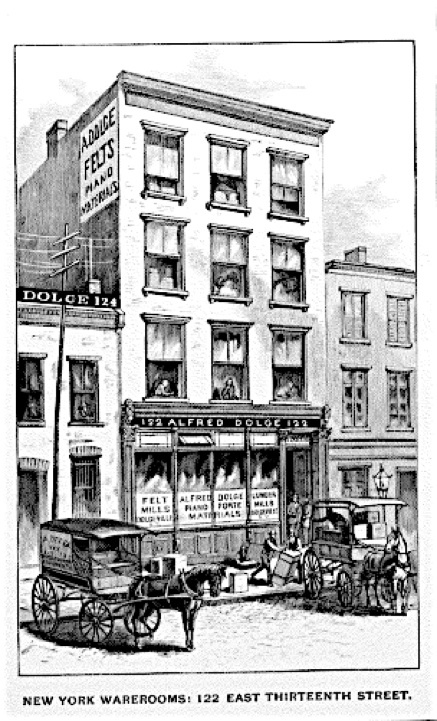 Dolge was forced to relinquish his businesses by what amounted to a conspiracy in April 1898. 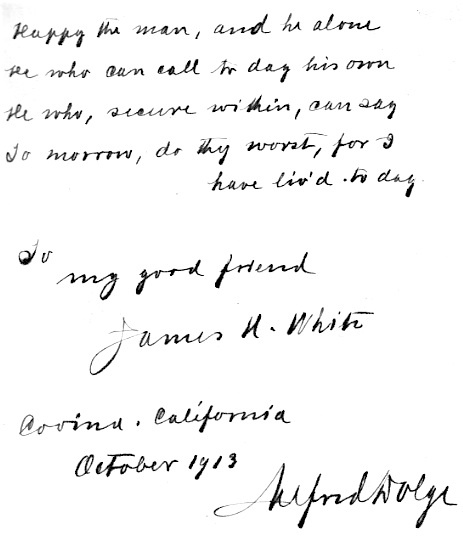 James H. White, was involved, along with his father and brothers, with Estey Piano and Organ Co., and later, Wilcox and White Co., makers of the Angelus Player piano. 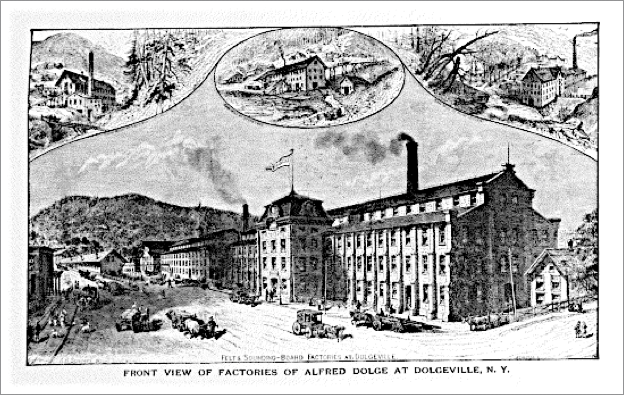 Here is an 1892 catalogue picture of the Alfred Dolge Factory complex, including the American Felt Company and soundboard factory, also known as the Dolgeville Mill. 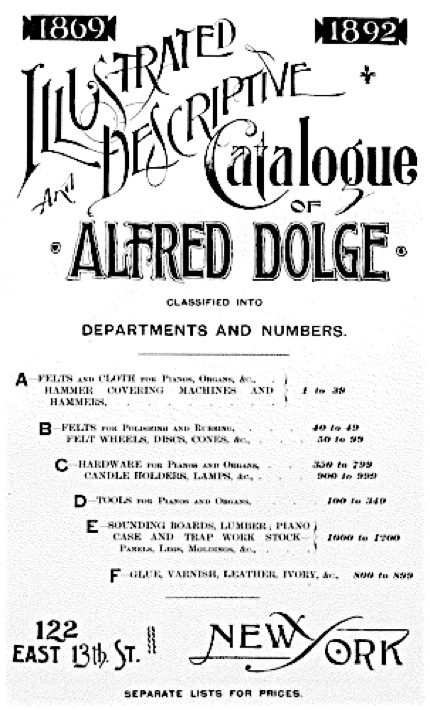 Alfred Dolge’s New York Warerooms, 1869-1892 catalogue. Alfred Dolge catalogue. A large catalogue, and a large supply company to supply the large piano industry. Custom soundboards made to order. 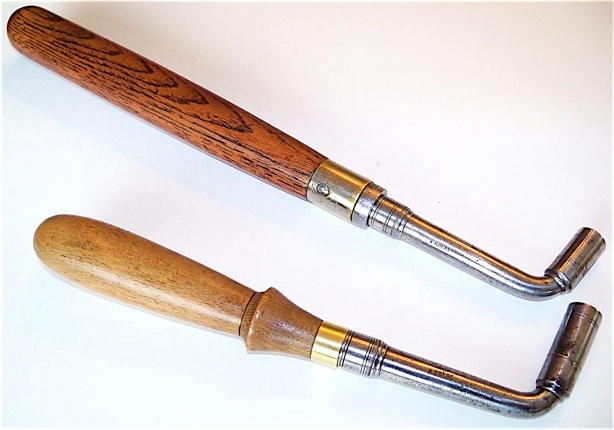 Two A. Dolge tuning hammers, in the traditional German, or stimmhammer, style, with screw-in gooseneck stems. The “A. 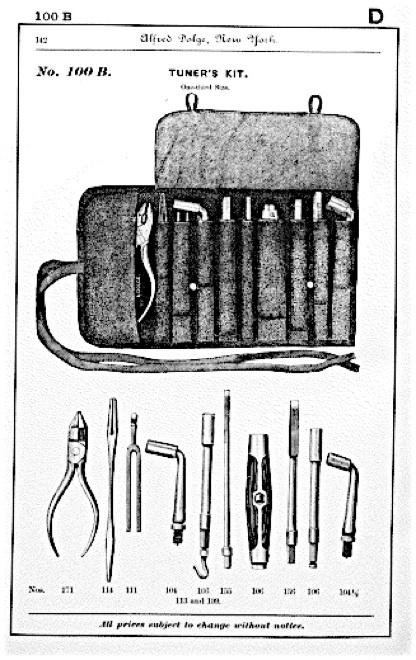 Dolge” tools date from 1892 or earlier, before Alfred’s partnership with his son, Rudolf Dolge. A. Dolge extension hammer, post-1892; after close examination, almost certainly made by Erlandsen. 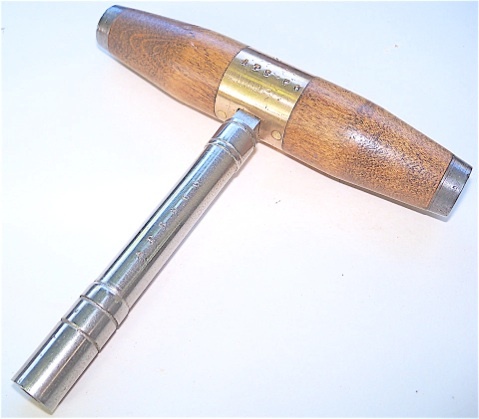 Universal tuning hammer. This one came with the “T” tube marked “A. Dolge,” and the ferrule of the handle is marked U. M C. Co., Bridgeport, Conn., or Union Metallic Cartridge Company, established 1867. 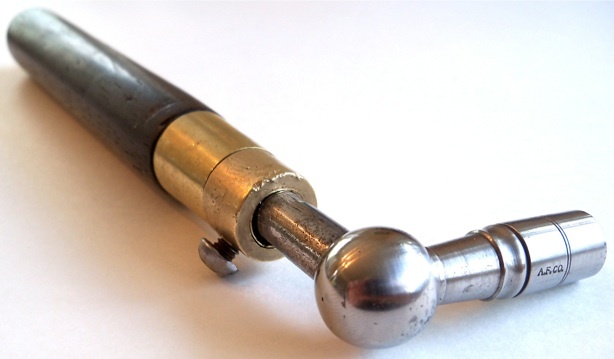 The ferrule is actually from a 19th century ammunition cartridge. 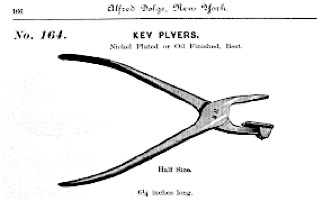 A. Dolge key easing pliers. 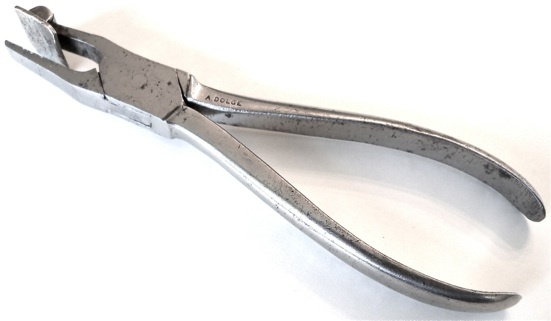 Dolge string coil lifter, tweezers, for holding punchings and other small parts, and tube attachment for “T” hammer. Another Dolge “T” hammer socket, this one with stringing hook. Adjustable tuning hammer, early, with brass collar, American Felt Co. Found with some of the Dolge tools above. Other A. F. inscribed tools appear in the tuning hammers and voicing tools sections. 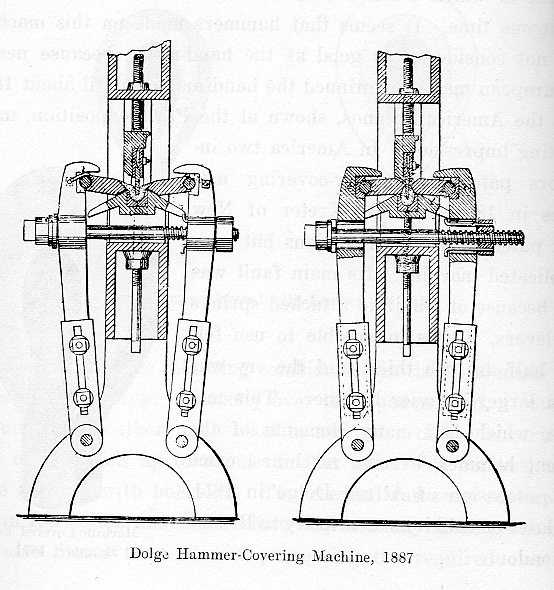 Same hammer, as in the 1892 Alfred Dolge Catalogue. 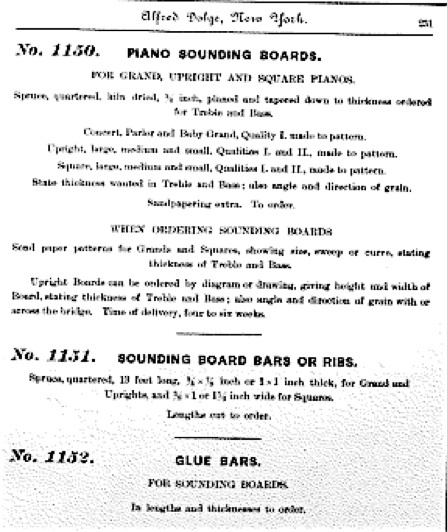 Music Trades Review Directory, 1915: Piano Sounding Boards. 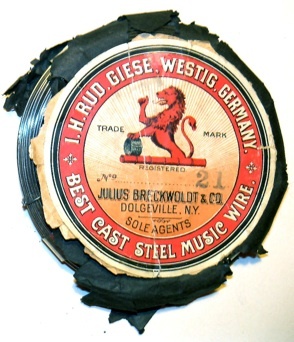 Breckwoldt & Co., Julius, Dolgeville, N. Y. 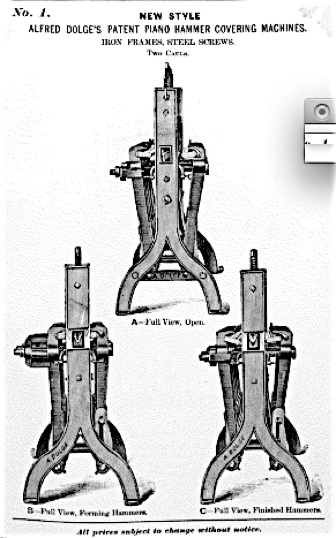 A. Dolge & Son regulating tool, close-up of engraving. 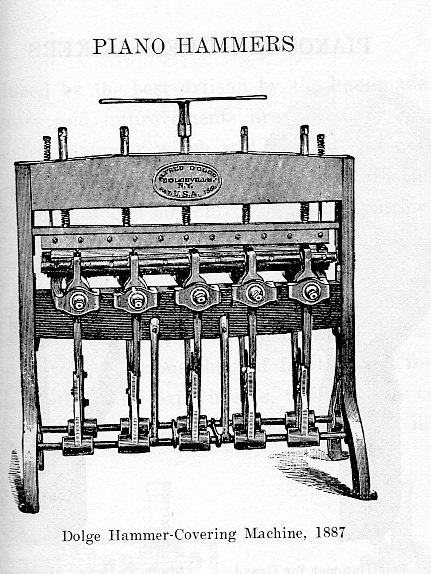 Dolge’s famous piano hammer press. 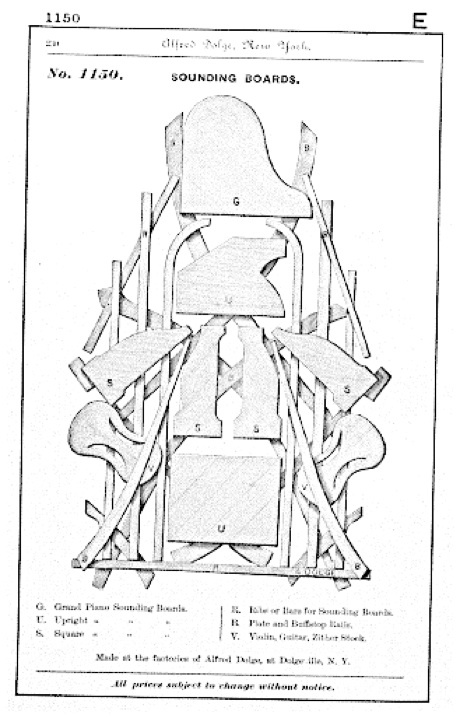 From the 1892 catalogue. Advertisement in The Music Trades Review c. 1895. 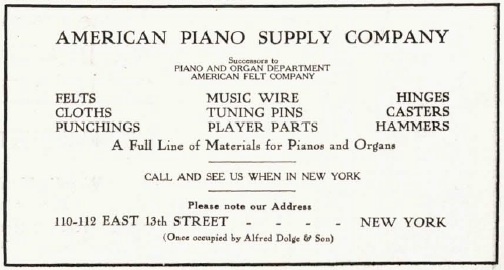 Alfred Dolge and Son Piano Supply (1869-1898) was acquired by the American Felt Co. in 1899. American Piano Supply Company was established in 1914 as a separate entity from the American Felt Co. (Piano and Organ Department). Hammacher Schlemmer purchased the American Piano Supply Co. in 1927, consolidated its own piano supply house with it, and received future orders from the old Dolge location (there were subsequent address changes). The name, American Piano Supply Company, was retained, but not used exclusively; the tools were still stamped with “H. S. and Co., NY.”. In 1953, Hammacher Schlemmer was sold from family ownership to a group of investors, and then the American Piano Supply Division was divested and sold to John Schadler and Sons in 1954. John Schadler, Sr. had originally worked as a young man for A. Dolge and Son in the late 1890s. After almost 50 more years of business operations, the Schadler family sold APSCO to Schaff Piano Co., Chicago in 2000. Advertisement, 1916. The information above was compiled from historical articles in the Music Trades Review. APS & CO stringing hammer, with bronze inside the maple, making for a heavy handle. From the American Supply Co., 1914-1927. 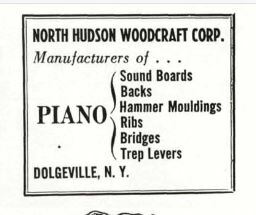 By 2002, North Hudson Woodcraft Corp. divested from the piano business. Today, they supply lumber and components for general furniture. The late Sam Camilleri used North Hudson soundboard panels in his Steinway rebuild projects. Camilleri owned what was considered by many to be the best piano rebuilding shop in New York City during the 1970s and ’80s.